Biofeedback energy status analysis measures the body’s bio energetic balance or homeostasis in relation to various food and environmental factors that an animal has been exposed to. Traditional Chinese Medicine (TCM) would call this a balance of yin or yang, with the ultimate goal removing or reducing incompatible energetic disturbances that diminish the body’s Qi or life-force. It is well known in TCM, homeopathy and Western holistic medicine, that energetic and spiritual disturbances often physical disturbances. "What may be healthy for one dog may be unhealthy for another dog." 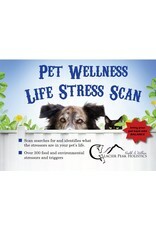 This Pet Wellness Life Stress Scan can help you take the next step by selecting the right food and supplements for your pet's health and longetivity. Outdoor K9's retail location has Certified Pet Nutrition Consultants on staff to help you understand your pet's test results and make informed decision about their nutrition. This is not a traditional allergy test for pets done in a medical laboratory. It is a non-invasive energetic analysis seeking to identify and diminish non-harmonic energetic factors that may be contributing to the allergy type symptoms in your pet. Using biofeedback analysis, the biofeedback device can identify over 300 food and environmental factors that may disturb an animal’s energy balance. Biofeedback measures the body’s energetic reaction to various substances. It is complimentary and is in no way meant to be inferred as a substitute for traditional allergy testing methods that use blood samples such as the ELISA and antibody testing. Glacier Peak Holistics highly recommend that you consult with your veterinarian if you wish such traditional allergy testing be done for your pet. 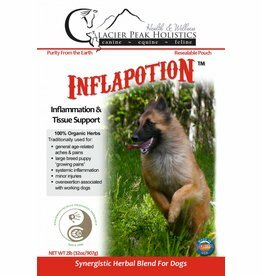 Glacier Peak Holistics is committed to customer satisfaction and the well being of your pet. To date they have run over 18,000 Life Stress scans through our dedicated energetic biofeedback department. They also work with many holistic and traditional Veterinary practices across the country, which effectively helps your pet in the best possible circumstances. 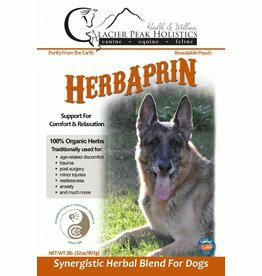 Glacier Peak Holistics recommend getting a diagnosis from your holistic veterinarian. Changing your pet's food or avoiding certain environmental items is an excellent place to start, however, there may be energetic imbalances that are asking for attention. If you have further questions or need additional assistance, we encourage you to speak with Outdoor K9 or contact Glacier Peak Holistics directly. 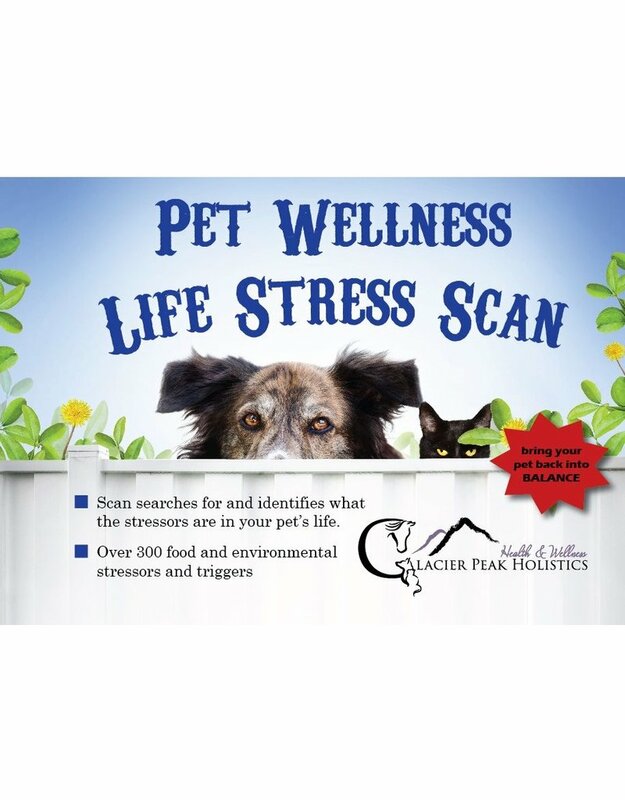 Should you choose to purchase the scan kit and submit the samples, we have Wellness Coaches that will go through the results with you, answer your questions and concerns and help you make a great plan to bring your pet back into balance. A phone consultation is included in the cost of the kit, so be sure to have your questions planned out prior to your call to save time. We understand that your pet may be experiencing extreme allergy type symptoms and we do our best to insure you receive the results as quickly as possible, however, we will not process your pet's samples without a signed copy of the legal disclaimer. Please do your best to provide us with the necessary information and don't forget to sign the form. We strongly recommend that you mail back your scan samples with a "Signature Confirmation" as there seems to be some that go missing in the USPS system. It is a small price to pay (currently $2.90 through your local PO) for added security and also provides a proof of receipt for both of us. Be sure to keep the tracking number safe until you receive your results via email. If we do not receive your samples within a normal period of time, this will insure you get a replacement kit as quickly as possible.To ensure you obtain the best results from your pet's scan, please carefully review the results, paying particular attention to the Energetic Imbalances and the Beneficial Remedies and Recommendations on page three.